Step on board and join MV Monsoon’s welcoming crew at Crystalbrook Superyacht Marina, Port Douglas. 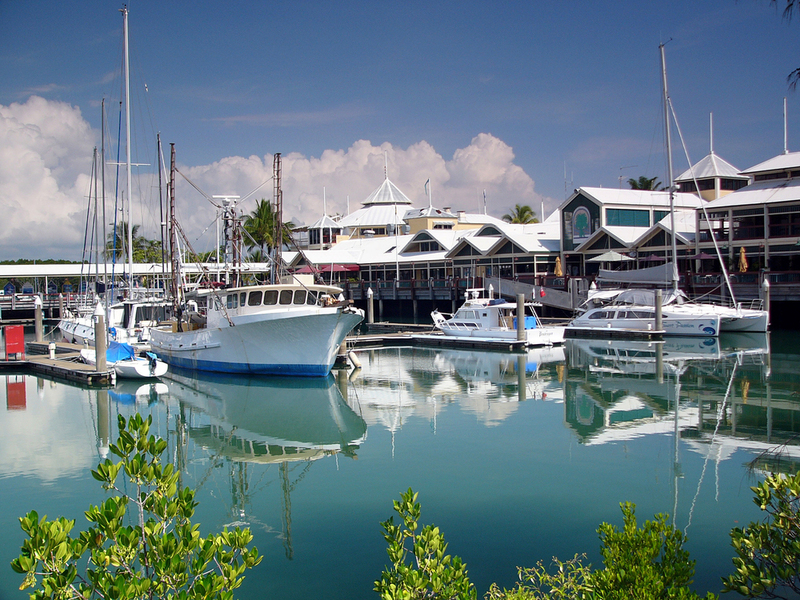 Port Douglas is an internationally celebrated cosmopolitan beach village with a rich nautical history and industry. Nestled along the famous Four Mile beach, an hour north of Cairns, Port Douglas is the gateway to the northern reaches of the world heritage listed Great Barrier Reef. MV Monsoon enjoys ready access to the inner and outer ribbon reef, continental islands, sand cays and serene lagoons, as well as deep diving sites and proven fishing hotspots. Less than half an hour steam out through the heads, and you are snorkelling with sea turtles or visiting the historic lighthouse at Low Isles, while cruising a few minutes further north will take you to Snapper Island. Head off into the infinite blue for whale spotting or to hook the catch of the day! Guests enjoy drift dives or snorkelling along reef walls, peeking into pristine sunlit caves, exploring giant bommies, and becoming completely immersed in the breathtaking reef life….from diverse fish species, to vast coral gardens, to green turtles, to dolphins, even minke whales and humpbacks during their migration north. While some guests prefer to simply float above the fish, there are plenty of us who are also itching to wet a line….and it just so happens that the Monsoon Crew SPEAK FISH! Our Crew know exactly where to find fish for you, and have premium quality sport fishing rods, reels and tackle at your disposal so that you can fish like a champion! Port Douglas is revered for its ready access to pristine dive sites on the northern Great Barrier Reef, and MV Monsoon is perfectly equipped to take you there! Our crew is configured to suit your tailored itinerary, so whether you are trying scuba diving for the very first time, completing an introductory course or are an experienced and intrepid diving adventurer, we will equip the vessel and crew accordingly, to accommodate your needs and desired dive destinations. There is no finer way to explore the reef, exclusively, and according to your own pace and preference, on board MV Monsoon. What are you waiting for? Let's go blow some bubbles! Should you prefer a more leisurely day on the reef, the Monsoon crew will very happily accomodate, with gentle cruising and exploring to your heart's desire. MV Monsoon is a popular choice for private charter for corporate events, media visits, weddings and incentive groups, special occasions & photography shoots. MV Monsoon is also available for private functions, mothershipping for game boats and expeditions..